You know, something feels really wrong about this post, but I just can’t put my finger on it. Oh well, I guess I’ll post it. A programmer’s trick is to read everything you’ve written out loud, and also backwards sentence by sentence. 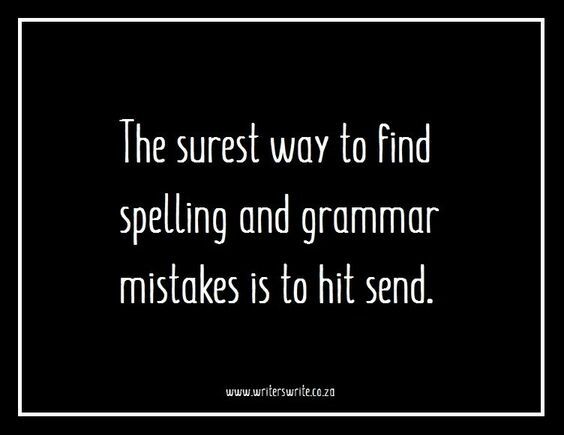 Maybe you’ll catch your mistakes quicker!